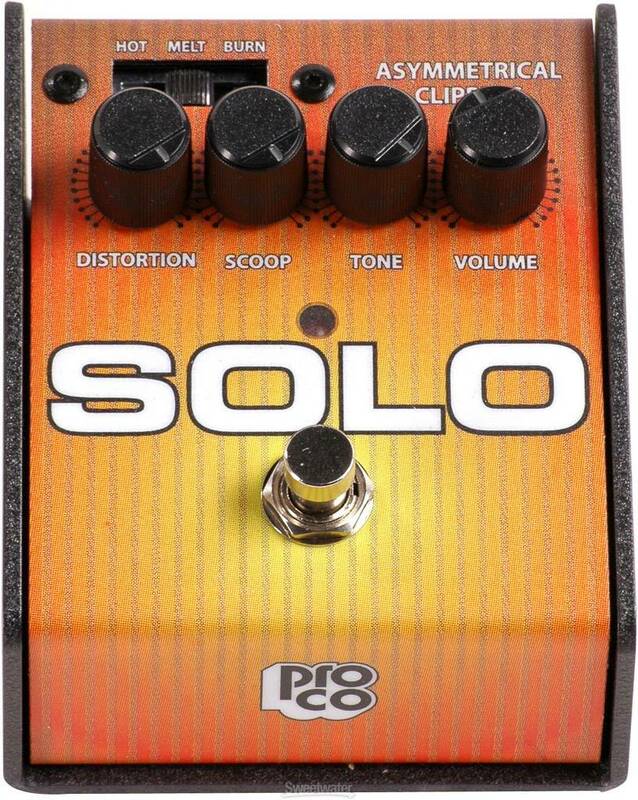 The SOLO is the newest member of the Pro Co family of stomp boxes. Although it is housed in the same indestructible and road worthy steel enclosure that has come to be a trademark of Pro Co stomp boxes, the SOLO marks a departure from the RAT series of pedals in more ways than just the new cosmetics. 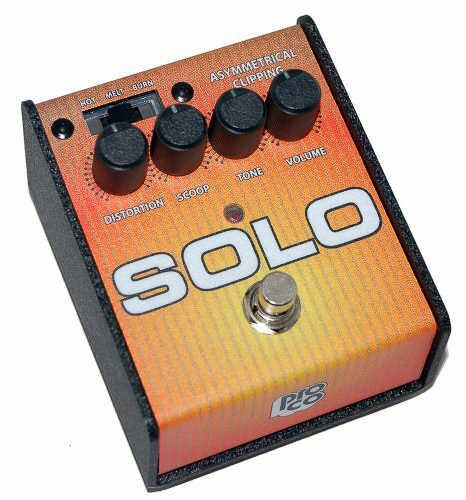 With its enormous range of tones, 3 way selectable clipping modes (“hot, melt, & burn”), and highly interactive “scoop” and “tone” controls, the SOLO just might be the most versatile pedal in your arsenal. 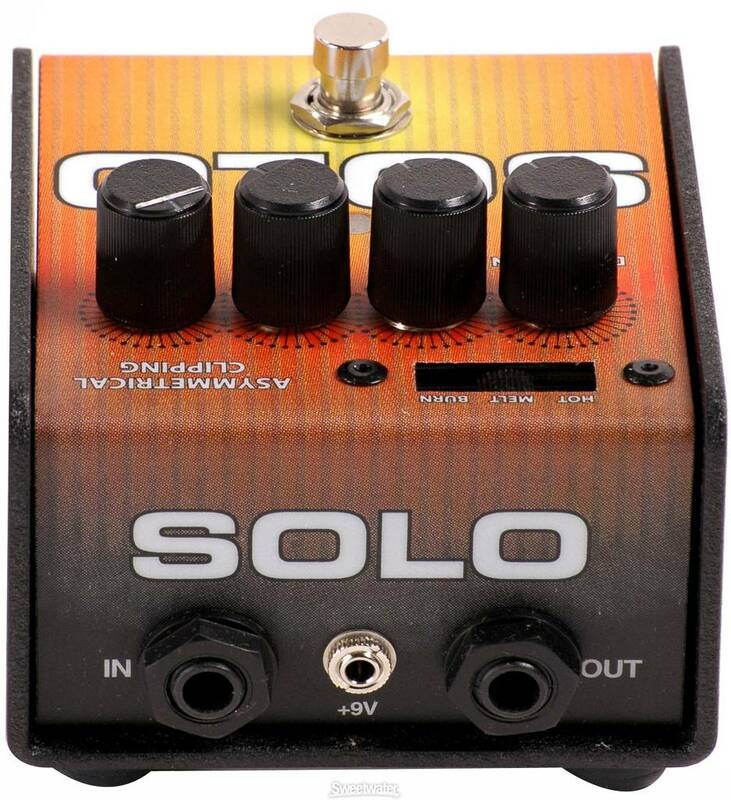 Don't let the name fool you, the 100% analog SOLO is no one trick pony. It is equally at ease in both lead and rhythm capacities, and with a wide variety of amplifiers and guitars. Capable of going from vibey, chewy, warm low gain tones, to deliciously mean and crushing high gain tones, the Solo still remains remarkably true to the sound that matters most: The sound of you and your guitar. And speaking of staying true to the sound of your guitar, true-bypass switching ensures that when the pedal is off, there is no coloration of your sound. Even in its highest gain settings, the SOLO remains extremely tube-like, articulate and touch sensitive. Complex chords ring out with clarity, leads sustain with ease. Roll back your volume knob and it cleans up, just like a good tube amp would. The solo uses three pairs of carefully matched (or should we say, carefully mismatched) clipping diodes to produce asymmetrical clipping. The three pairs are accessible via the “hot, melt, burn” slider switch. This has the effect of making the SOLO clip very much like a tube amp going into natural power tube distortion.